Home » Television News » Splitsvilla 11: Anshuman and Roshni, the most adorable couple of Sunny Leone's show broke up for this shocking reason! Splitsvilla 11: Anshuman and Roshni, the most adorable couple of Sunny Leone's show broke up for this shocking reason! Splitsvilla has been one of the most popular shows of the small screen which is quite popular amongst the audience. The show has a lot of young fan following who love to watch young boys and girls in the show looking for true love. The show has been hosted by Bollywood actress Sunny Leone and Ranvijay Singha. The show is finally heading towards its grand finale but a recent update about a couple in the show will literally shock you. 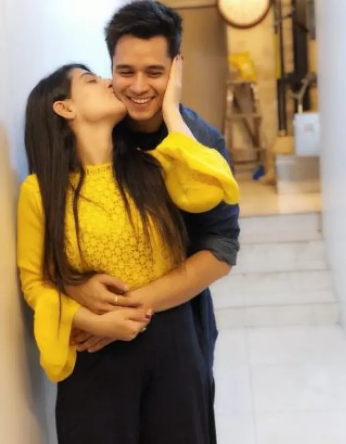 It is a not a new fact that in the show, the most adorable couple was that of Anshuman Malhotra and his girlfriend Roshni Wadhwani who won everyone's hearts because of the way they behaved with each other and the bond that they had but a shocking and bad news has come in for the fans of the show as now they both are no more a couple and this has been confirmed by both of them. Yes, that's true. 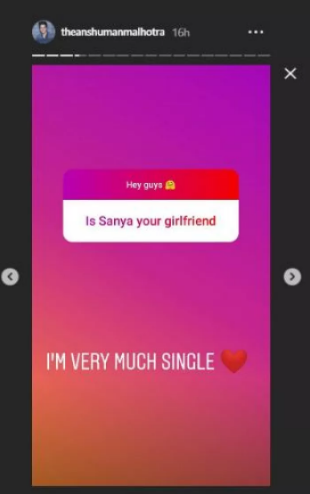 The couple has finally broken up and both of them are now single. 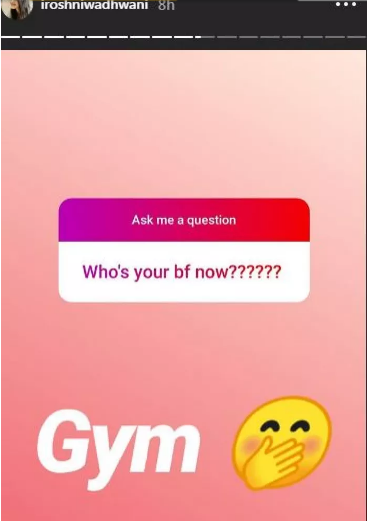 Both of them, during the 'Instagram Ask Me a question' session on their social media account opened up about the same and we are in shock. 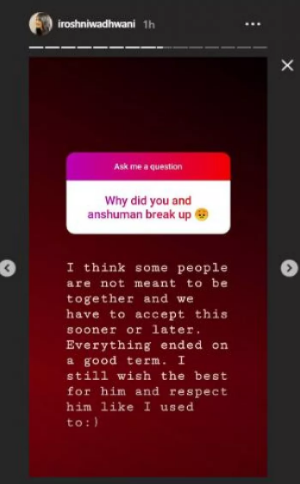 Roshni was asked, "why did you and Anshuman break up?" To which she replied, "I think some people are not meant to be together and we have to accept this sooner or later. Everything ended on a good term. 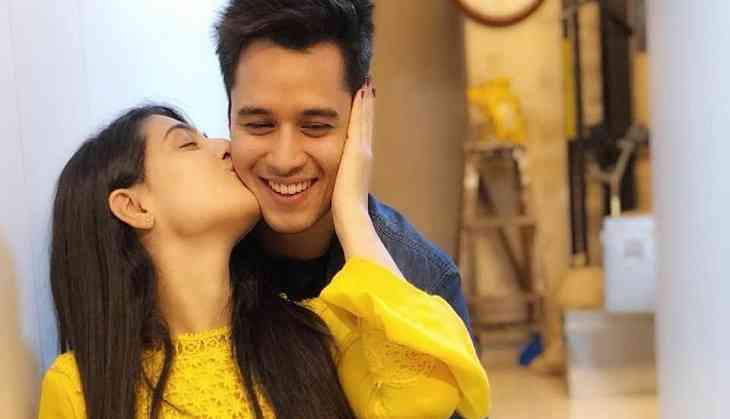 I still wish the best for him and respect him like I used to :)"
It definitely is a sad news for the couple as well as their fans who loved their jodi a lot. Well, it will now be interesting to see what next turn the show will take. Till then, stay connected with us for more updates like these.